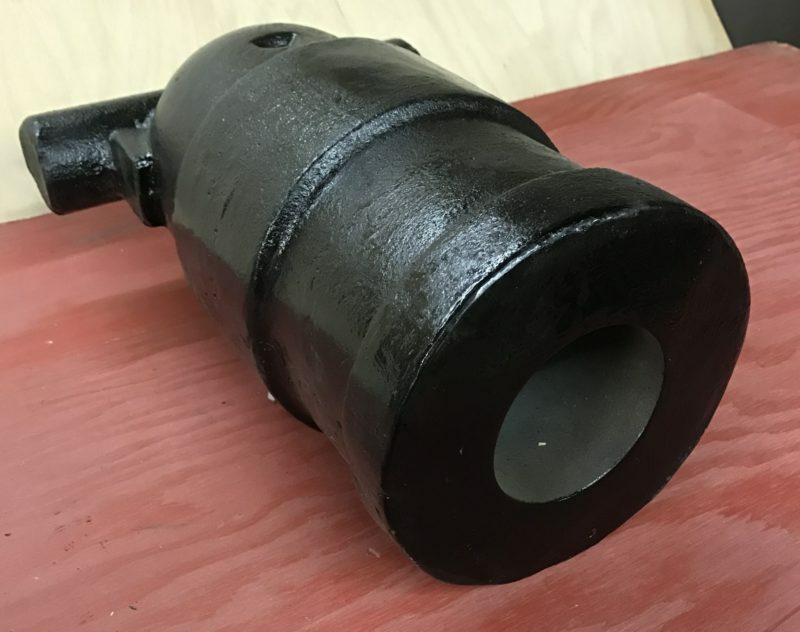 CAN39 – Coehorn Mortar, full scale, 3″ bore, 75#, 13-1/2″ long. The Coehorn Mortar has always been popular here at Hern Iron Works. The original period pieces had a larger bore with a reduced powder chamber; some time in the 90’s we were getting enough interest in a larger bore for this guy that we started making a 3″ bore version. This has our standard DOM liner with 1/2″ wall thickness, and 3″ bore, with a concave breach plug machine fit and welded in place. It is still a straight bore, but looks very impressive beside its little brother with the 2-1/4″ bore. Your friends will be impressed for spending the extra money for this larger bore! Cannon is boxed and packaged for UPS shipment to the US of A — Included with the price shown. The shot that opened the Civil War was fired from a coehorn mortar. 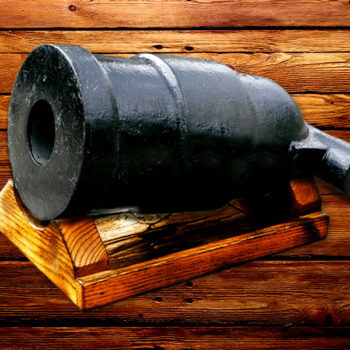 The Coehorn Mortar was a very useful piece, for it was developed in the 16th century, and there were still a few in use in British colonial garrisons in the 1920’s. 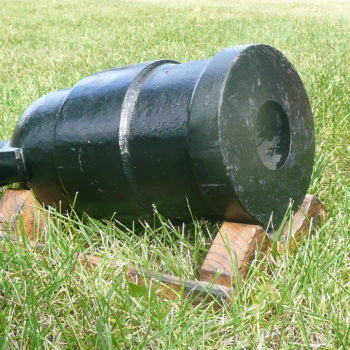 The 12 pounder model of 1841 was mounted on on a simple bed and served by a crew of four. It fired a standard 12-pounder shell to a maximum of 1200 yards. Hardware Kit & Plans to outfit your Coehorn Mortar! 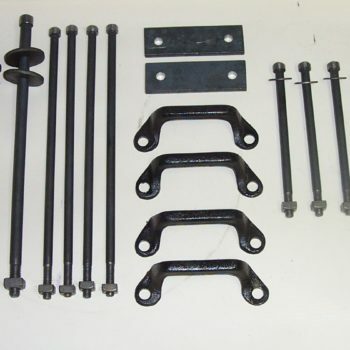 Used with the 2-1/4″ OR 3″ bore tubes. 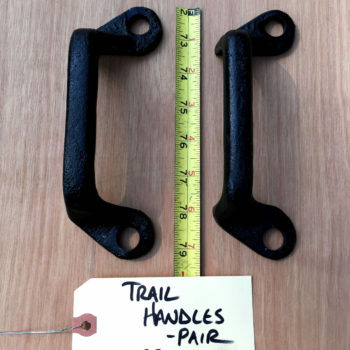 Universal trail handles, sold as a pair. 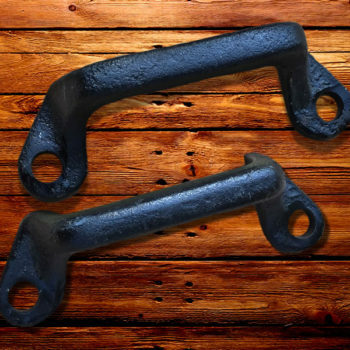 Cast Iron, 5/8″ holes.